There are many wonderful ballet steps for kids that they can do during class and at home for practice. 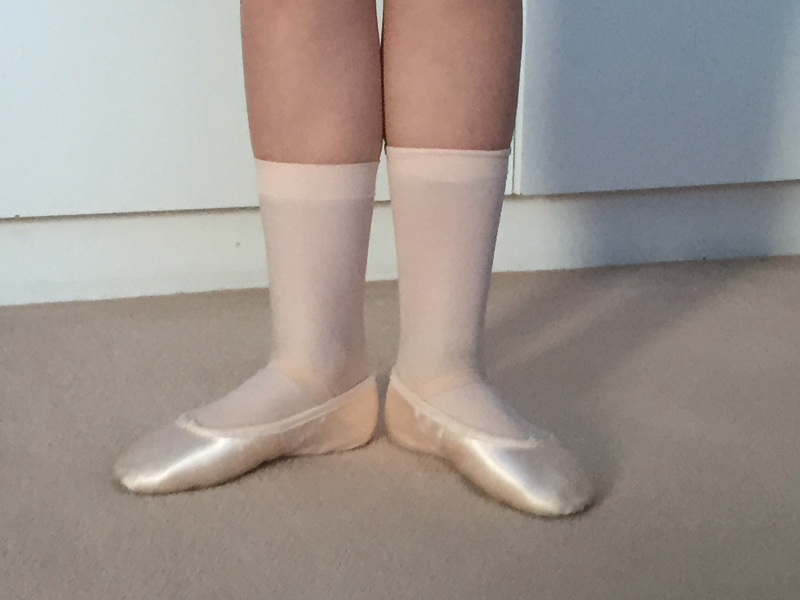 When dealing with ballet positions for kids, one has to be careful to choose exercises that are appropriate for the age and strength of the child. Doing exercises before the child is ready for it could cause more damage than good. Here are a few tips and rules to keep in mind when working with little bodies and planning the ballet positions for kids. When teaching 1st Position, make sure the child is not forcing her turnout. Lots of kids love to try and be real ballerina’s and stand with their feet turned out at 180 degrees. Well most of the general population just don’t have and never will have that amount of turnout in the hips. We have to train children to work with what they have without damaging their bodies. Make sure that the child’s knees are lined up over her toes in 1st position. For more about basic positions of the feet click here. Demi plie is a good ballet step to give a child, provided it is done correctly. Ensure that when the child bends, the knees are going over the toes and that the bend doesn’t go so low that the heels lift off the floor. The child must feel the insides of her thighs parting as she goes down. Kids enjoy this exercise and it teaches them how to use their feet. If they do it properly with a tall back, they will also feel a nice stretch up the backs of their legs. Let them sit on the floor with straight backs and their legs straight out in front of them. When they point their toes they make ‘princess toes’ and then they can make ‘frog toes’ by flexing their feet. It may help to let them sit with their backs against a wall. Check that when the child points her feet that they are straight, or you could be encouraging a sickled foot. If possible the heels and toes should be touching. However if the child can’t manage to get her legs together, then let her glue her knees together and make sure her feet are parallel to each other. Skipping is a great ballet step to teach children. Normally children under the age of three will battle with skips, but by the age of 5 most children would have grasped it. Try to encourage the children to lift their knees high so that the side of the big toe touches the side of the supporting leg on each skip. Skips should have a light quality and be well lifted and jumped in ballet. Marching should perhaps be taught just before skipping, as the feet are in the same place on the side of the knee. This will also teach the children to lift their legs nice and high in preparation for skips. Now would be a great time to add in some musical instruments like drums or tambourines. Children can maybe have turns to play for each other, matching the beating of the drum with her friends feet hitting the floor. Marches in half time is also a great exercise to teach the children to balance. Walks are great ballet steps for kids. You can have lots of fun with walks. They could be fast, slow, high or low. A simple way to teach children transference of weight, as it is something that they can all do naturally. Teaching a child to run on the balls of her feet is one of the first things she should learn in ballet class. Running on the toes strengthens the feet and teaches the dancer to run gracefully. The children should be encouraged to lift up their bodies as they run and grow tall, so they are light on their toes. Jumps should be taught parallel, in 1st position and in 2nd for little ones and beginners. A great way to teach the children to push off the floor with their feet, is to sit them with their feet flat against a wall. Let them bend their knees and get them to push off the wall while simultaneously stretching their legs and feet as they leave the wall and slide away from it along the floor, using their hands for support so they don’t fall over. Jumps are a very important part of dance training, as they strengthen the legs, feet and bones. Make sure the children bend well when coming out of a jump, and aim to land with their toes touching the floor first then the heels. Try to enforce the landing with the heels touching all the way down at a young age, otherwise they will battle to do it later on. Most important, when doing ballet steps for kids, keep the class moving and fun, especially with the little ones, as they loose concentration very easily. ← Ballet Bar Exercises – Why On Earth Do We Need To Do Bar Exercises? Hey, ballet seems like a really cool thing to do. My little cousin does it and she’s 5 years old, she says its the best thing she has ever done. That’s good enough for me. I think this could be a good way for some people to relieve stress, for other’s it could just be fun. Besides relieving stress, its good exercise and good for the brain too. Very cute site! I was thinking of getting my daughter into dance. I would’ve like to see more costume ideas as far as pictures. I was not aware of all the little things that contributes to being a good dancer. Thank you! I would remove the Meta widgets if you have no plans of utilizing it and I would beef up the content a little. But other than that, GREAT job and thanks for sharing! Thank you for your comment Willie. Notes taken. Hi Mergie, great post! I have a cousin that’s 8 years old and she’s just starting out. I’m going to recommend she check out this site for tips because I think she’s having a hard time picking it up and would like someway to help her. Also I’m wondering if there’s a particular brand of shoe she should be wearing if you have any suggestions? Thanks, looks great. At eight, she will do well with a soft leather pair with a full sole at the bottom to strengthen her feet. Don’t be tempted to buy the split soles at this age. Brand is not that important at this stage either as long as the shoe fits well and is comfortable. Interesting, educative and instructive site. It will be great to see some live video. It is a pity that I did not see it ten years ago. I was leading my little daughter on the dance courses, but nothing worked out. Now she plays ice hockey. It could have been different. Really good description, my daugther’s been doing dancing for a couple of months and she loves it. Ballet Steps for Kids is really popular around here and many children take classes. I think a blog with more advance tips is a good idea. Are you thinking about doing a blog with more advance tips in the future? Yes, I am slowly but surely adding to this blog as I go. My niece has done ballet for the past 3 or 4 years and she loves it. She’s learnt to move gracefully with the positions and takes part in shows. Do you have any practice exercises suitable to use at home in between classes? What should we look out for in a good teacher or dance class? The Ballet Bible is a good investment for practising at home. You will soon tell if the studio is good or not by the results that the children get for their exams. Although remember not every child will obtain high marks. I think you have a wonderful niche site here, my daughter is 3 years old and attends the local ballet school which she loves and I find it great to watch her develop new skills as well as interacting with the other children and adults. My son will also join in from time to time which amuses me. I will be following your site with great interest. Thanks for your kind words Gary. This is very informative and came at an incredibly convenient time seeing as my little sister just started ballet, hahaha. She practices probably more than she should at home which is great! I have no doubt that beginners are going to greatly benefit from your website 🙂 All the best and thanks again! Thanks for you comment and feed back Michael. As much as possible, kids should be lured into this activity especially as it is so good for their discipline and coordination. When learning ballet, I believe that one would have to become more patient and more flexible not only on physique but also in other aspects of life. Your article has provided a lot of advice on how it should be done. Yes, there may be a lot of techniques listed in here but I think it would is best if the child herself would be able to develop the interest and doing this so that she will be able to pursue until she is a pro herself. Ballet helps kids in all areas in life, even if they never become professional dancers.